Stonewall Gazette: Michael C. Hall Working Up A Sweat! Michael C. Hall Working Up A Sweat! 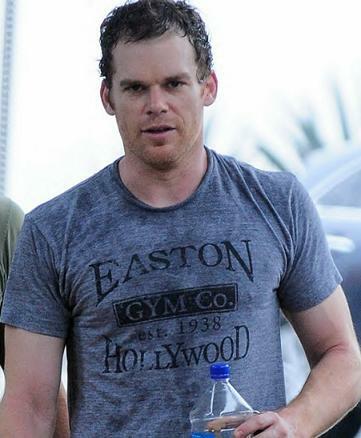 One of my favourite actors, Michael C. Hall (Dexter, Six Feet Under) was snapped leaving the gym after a workout on Thursday. It's hard to believe but it was just sixteen weeks ago that he finished his grueling cancer treatment for Hodgkin's Lymphoma. Reports say the actor is now cancer-free! He looks fantastic and I couldn't be happier for him.